"No-one is more hated than he who speaks truth"- Plato. These deeply profound and insighful words of Plato, Ancient Greece's greatest and most reverred philospher, who was a student of the great Socrates and a teacher of the great Aristotle, are as true today as they were in 400 BC when he wrote them. You will not read the following account about President Muhammadu Buhari's so-called "war against terror" in Nigeria's mainstream media because they have mostly been compromised and intimidated by the Federal Government. You can however read it in this two-part essay if you are interested in knowing the truth. I urge as many of those that care and that can get through it to spread the word and let the international community know the truth about what the Nigerian people are passing through. Despite the hatred and aggression it always attracts towards its purveyor, truth remains truth and, for the sake of posterity, it is worth defending and, if necessary, dying for. And the truth about our war against terror is as follows. Today Nigeria is in the terrifying grip of a bloodthirsty two-headed dragon which is empowered, fuelled and energised by President Muhammadu Buhari. The first head of that dragon is that of Boko Haram and the second is that of the Fulani herdsmen and terrorists. This two-headed dragon feeds on the flesh and blood of the Nigerian people and until it consummes or captures every living soul in our nation it shall not relent, refrain or desist. I say this because, like the leader of the horrendous Nightwalkers in HBO's famous classic series, "Game of Thrones", the rider of Nigeria's Nightwalker dragon is our very own President Muhammadu Buhari and he brings nothing but death and destruction. Those that expect him to master it, tame it or cut its two heads off are expecting him to drop his most awsome weapon and to fall out of the sky in mid-flight. He will never do it and it will never happen because that is his strength, pride and source of power. He needs the two-headed dragon from hell to take him to his next destination and to his next level. Simply put, without the blood-sucking, flesh-eating, bone-crushing and life-taking dragon-beast that he controls and rides, Muhammadu Buhari is nothing. Blood is the currency in the realm of the spirit and the spilling of it gives him power. The more blood is spilt the more power he gets. This explains why such little emotion is displayed by our President and next to no concern is shown by him when the people of Nigeria are abducted, enslaved, hacked to pieces and slaughtered by either of the two heads of his beast. When one scrutinises Buhari's so-called war against terror over the last three years the first question we must answer is whether we can really expect one terrorist to fight another terrorist successfully? Simply put, the question is whether darkness can defeat darkness or whether evil can overwhelm evil? In 2000 Buhari asked the late Governor Lam Adesina of Oyo state "why are your Yoruba people killing my Fulani people" when Fulani herdsmen and terrorists suffered a series of heavy reprisal attacks and killings after they had attacked and killed many Yoruba farmers in Oyo state. In 2001 he told the Nigerian people that "Muslims should only vote for Muslims". In 2001 he told the Nigerian people that it was his intention to "spread sharia law ALL over the country". In 2002 he told the Nigerian people that "Christians have no business with the matter and should not complain when limbs are being cut off in the name of sharia because those limbs are Muslim limbs and not theirs". In 2003 he proclaimed that the Muslims of Nigeria should "all work together and win power at the centre because when the Muslims of the north join hands with our Muslim brothers in the south-west we are more in number than the Christians". In 2013 he told the Nigerian people that "an attack on Boko Haram is an attack on the North". In 2014 his trusted political associate and a man by the name of Alhaji Lai Mohammmed from Kwara state who played a key role in his 2015 presidential campaign and who was later appointed as his Minister of Information announced to the world that it was "wrong, unjust and unconstitutional to proscribe Boko Haram and to describe them as a terrorist organisation". In 2016 his official spokesman at the Presidency, Mr. Femi Adesina, told the Nigerian people that Buhari would not comment on the cold-blooded butchering and murder of no less than 808 Christians in Southern Kaduna on Christmas day and Christmas eve by Fulani terrorists because the Presidency "regarded the matter as a state-affair". 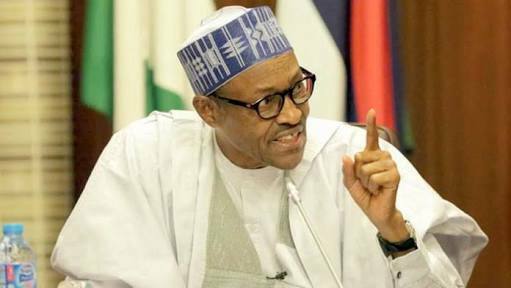 In January 2018 Buhari told Governor Samuel Ortom and the elders and traditional rulers of Benue state that "the Fulani herdsmen and cattle-rearers are your brothers and you must find a way to accomodate them" after those same terrorist herdsmen had butchered over 1000 innocent people in Agatu occupied their land two years ago and hundreds more all over the state since that time. And it is the same story all over the Middle Belt and the south where Fulani terrorists and herdsmen slaughter innocent Nigerians in the most gruesome and horrific manner and circumstances and destroy and steal their homes, farms and land without any fear of being brought to justice or being resisted or confronted by any of Buhari's northern-Muslim-led security agencies and Armed Forces. So now I ask, which "war against terror" or "war against Boko Haram" or "war against the Fulani terrorists and herdsmen" are we referring to or is Buhari fighting? Can he really be expected to fight himself? To people like Buhari unarmed men and women who do not threaten others with violence and who have never killed anyone, like members of Nnamdi Kanu's IPOB, are the terrorists whilst murderous and zombie-like beasts that take pleasure in slitting open the throats of babies and infants and in slaughtering thousands of innocent and defenceless men, women and children are not. I am sorry to tell the world and the Nigerian people that the Federal Government has been lying to them. They have not been waging any serious war against terror, no Fulani terrorists or herdsmen have been arrested or brought to justice and Boko Haram is as deadly and strong today as it has been in many years. If anyone doubts that they should find out how many local government areas Boko Haram control and how often they attack and carry out successful operations in major cities in Borno and Yobe states. They are killing as many people today as they did five years ago but the difference is that the govermment has suppressed the information and ordered a media blackout of these terrible events. On the abduction of the girls from their school in Dapchi, Yobe state the situation is even more pathetic because it could have been avoided. When you pay millions of dollars in ransom to Boko Haram over 3 years, when you lie to the world that you have defeated them, when you release thousands of their footsoldiers and commanders from prison and claim that they have "repented" and when you compel the media to supress the truth about the gains they have made in parts of the country why should you or anyone else be surprised about what happened in Dapchi? It was bound to happen because you have empowered and emboldened them! Worse still is the fact that the Govermor of Yobe has said that the soldiers that were guarding Dapchi were removed 24 hours before the attack and abduction took place. The question is who gave the order to remove them and why? Again the fact that military intelligence (DMI) had formally informed the Nigerian Army and the Federal Government that an attack on Dapchi was imminent and that the warning was brushed under the carpet and ignored raises even more questions. Finally some time back the Daily Trust Newspaper and BBC Hausa Service reported that on two separate occasions the military came very close to capturing Abubakar Shekau, the leader of Boko Haram, but that they were ordered by someone in Abuja to step down the operation, back off and let him go at the last minute. This again begs the question: who gave the order and why? We need to know what is really going on because it looks as if some of these people were complicit in these terrible and shocking events! All this is bad enough yet nothing exposes the level of deceit and insincerity of the Buhari administration more than their reaction to the abduction. First they said "no girls were kidnapped!" Then they said "sorry we lied!" Then they said "ALL the girls have been rescued!" Then they said "sorry we lied!" Then they said "SOME of the girls have been rescued!" Then they said "sorry we lied!" Then they finally admitted that 110 girls had been taken and that none of them had been rescued, seen or heard from since. WHAT A GOVERNMENT! Worse of all some of the parents of the abducted girls were detained, threatened and harrsassed by security agents and the military simply because they told the world the truth about what has happened to their girls and because they were exposing the lies that the government kept churning out. If anyone doubts this they should please ask Stephanie Hegarty of the BBC who has done an excellent job in this respect and who has kept the international community aware of all the events with her twitter handle and her excellent reportage with the BBC. That is how bad the situation is and our government has clearly lost control. They are more interested in covering up their own deceit, incompetence and complicty than fighting or stopping the activities of Boko Haram. (TO BE CONCLUDED).